Although some children dream of running away to join the circus, it is likely that most animals forced to perform in circuses dream of running away from them. Colorful pageantry disguises the fact that animals used in circuses are mere captives forced to perform unnatural and often painful acts. 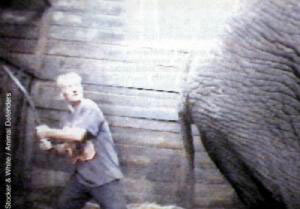 Circuses would quickly lose their appeal if the details of the animals' treatment, confinement, training, and "retirement" became widely known.